– Ph. D. (Doctor) in Plant Physiology (1981), Michigan State University, USA and Post-Doctoral Fellow (1982), Michigan State University. His initial professional career was developed at the Las Brujas Experimental Station of the National Institute of Agricultural Research of Uruguay as Researcher in Vegetables (1972-1979), later becoming Associate Professor in Plant Physiology at the Universidad de Concepción, Chile (1982-1986) and Director of the Plant Biotechnology Research Laboratory of the Universidad de Concepción, Chillán, Chile. Dr. Izquierdo began his work in FAO in 1985 as a consultant in plant production and from 1988 to 2009 as FAO’s Principal Officer in Plant Production for Latin America and the Caribbean based at the FAO Regional Office in Santiago, Chile. It has developed training activities, surveys, germplasm exchanges, cooperation networks, technical assistance mechanisms, study and diagnosis platforms, working groups and projects related to research and technology transfer in horticultural crops, underexploited Andean crops, leguminous crops, urban agriculture, plant biotechnology and good agricultural practices. In particular, it has led and coordinated technical events, the formulation of programs and projects at the international and national levels, the implementation of data banks and websites and the review of progress in policy formulation and institutional development in agricultural biotechnology, production sustainable cultivation, good agricultural practices, plant genetic resources and biosecurity of genetically modified organisms. As part of his duties at FAO, he acted as the founder and Technical Secretary from 1991 to 2009 of the REDBIO / FAO network (network of technical cooperation in agricultural biotechnology www.redbio.org) and is a founding member in 2005 of the Fundación REDBIO Internacional , non-profit non-governmental organization dedicated to the promotion of appropriate and safe biotechnology for the countries of Latin America and the Caribbean. It was considered by the FAO among the final candidates for the Senn Award, 2008 for its work in the REDBIO network. 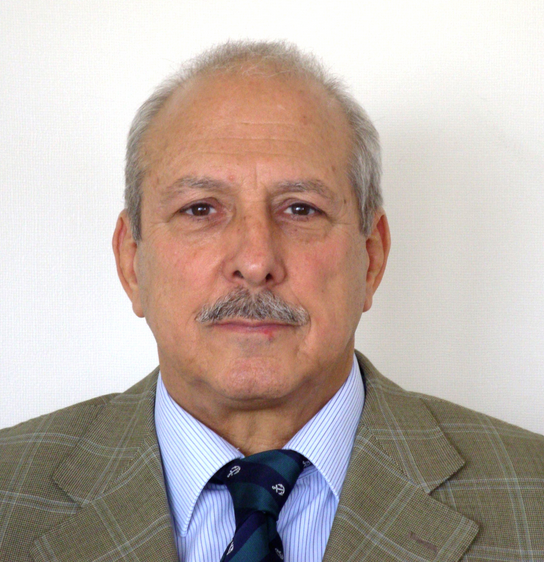 As of 2009, Dr. Izquierdo retired due to retirement from FAO, acting since then as a consultant in sustainable production and biotechnology; President of the International REDBIO Foundation (2010-2013); Director of the Master in Technological Management with an emphasis in Biotechnology from the University of Talca (2011-2013). Among his various responsibilities he was the founding editor of the Revista Agro-Ciencia, Chile and is the editor and founding member of the Electronic Journal of Biotechnology and Member of Number since 2009 of the Academy of Agronomic Sciences of Chile. As a businessman, he worked from 1985 to 1990 as the owner of the CULTIVITRO fruit and berry micropropagation laboratory in Santiago, Chile. He is currently a board member of the Bio-Innova company dedicated to sustainable agricultural innovations. He has authored more than 100 published works, books, articles, videos and manuals in biotechnology, plant physiology, horticulture, hydroponics, urban agriculture, good agricultural practices and sustainable intensification of agricultural production. He has also developed the area of ​​popular hydroponics for small producers and is the author and co-author of manuals and articles on this subject, highlighting the audio-visual and autoturial packages on simplified hydroponics and on-site and online courses on urban agriculture and peri-urban The manual “Una Huerta para Todos”, under its edition, with a print run of more than 25,000 copies, has been used in all FAO projects for urban agriculture in Latin America since 2000. Dr. left has participated in international forums and conferences in Africa, Asia, Europe and the US, serving as a guest lecturer or main panelist. He is a member of the Society of Agronomists of Uruguay; from the American Society for Horticulture Sciences; and the Uruguayan Hydroponics Society.